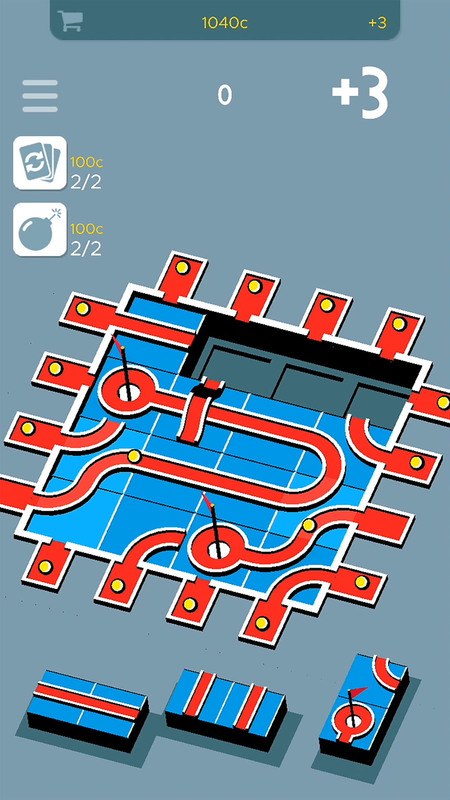 Putthole is an endless puzzle game in which your objective is to complete and clear tracks (think pipes/marble tracks). 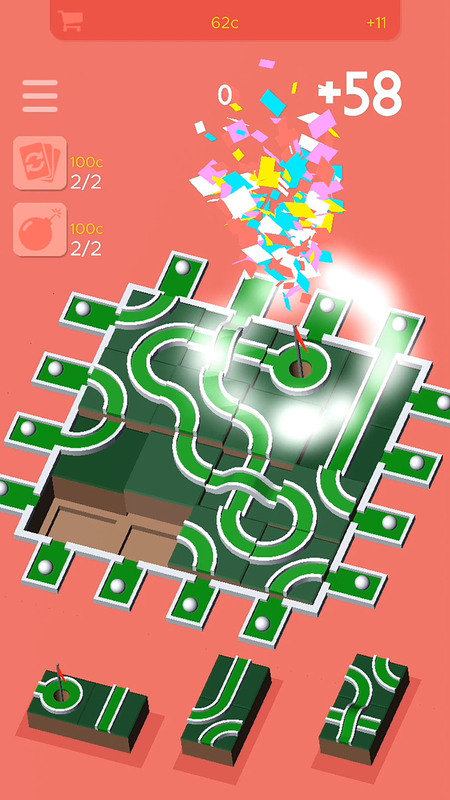 Every tile that the ball passes over on the way to the hole is cleared, and awards points. Tiles that the ball does not pass over remain. When tiles have accumulated to the point of not being able to place new ones, the game is over. 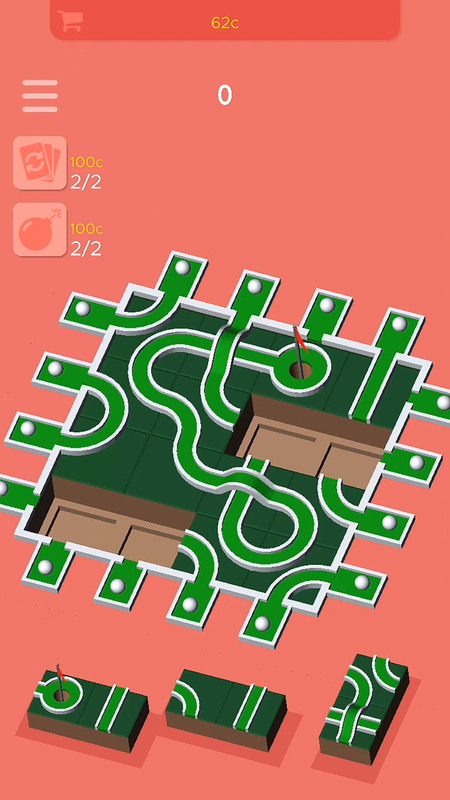 Putthole was originally inspired by a game called Hex FRVR. 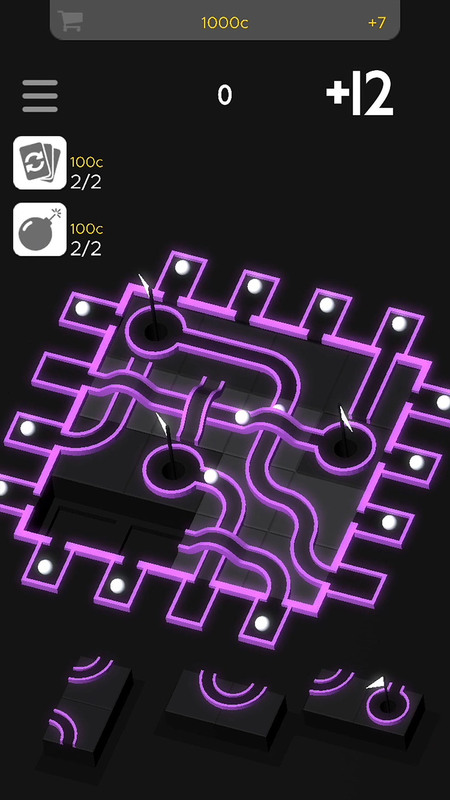 I liked the endless puzzle mechanic, and wanted to create something in the same vein. I'm proud of it's 140k downloads and positive reception across Android, iOS, and Amazon platforms.